Welcome to Adams Autoworx - your Subaru dealer alternative. 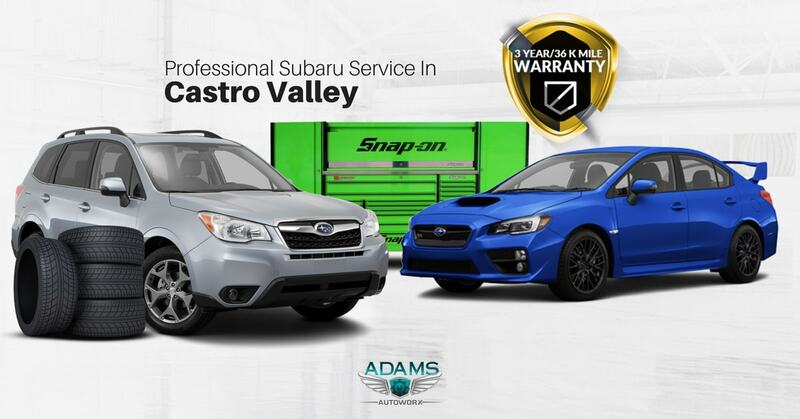 We provide Castro Valley Subaru service and repair that exceeds service provided by dealers. Subarus rock! We love ‘em and we take great care of them. If you need Forester service, or your Crosstrek needs new brake pads, your Impreza has an oil leak, or you need quick Outback repair, bring them to Adams Auto Care and we will take excellent care of your car. For over 40 years Adams Autoworx has been repairing autos in Castro Valley. We are a family owned auto service and repair shop that sets a new standard in the auto service industry.